"If the examined life is not worth living, then is death not worth examining?" 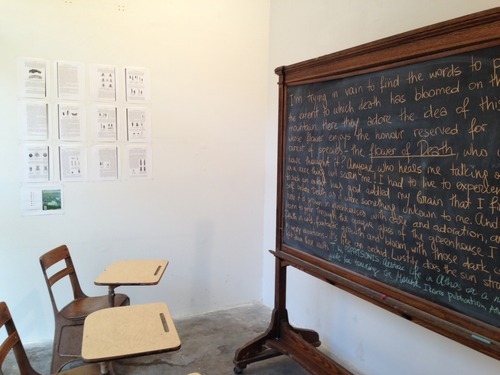 School of Death instruction is taking the form of evening and weekend talks accompanied by daily lessons handwritten on a chalkboard at Family Business. Pictures from the May 7 opening and more can be found here. On May 16 Simon Critchley will lecture on “Learn How to Die” while workshops on the afternoon of May 18 will study suicide notes and the art of epitaph writing.